Discuss the differences between objective and nonobjective artwork. Discuss how Megan Coyle’s abstract collages are different and similar to her representational collages. Make a series of abstract collages. Have students read Megan Coyle’s bio and study her representational collages in the online galleries. Discuss Coyle’s collage technique– review her process. Keep this in mind when studying her abstract work. Have students read over the Student Activities: Objective vs. Nonobjective Collage, Abstract Collage Techniques, and Inspiration for Abstract Artwork. Discuss how Coyle’s abstract collages are similar and different to her representational collages. Do you notice a pattern with the colors and textures used? How about with the style? Discuss different techniques for making abstract collages. How is the process different than the process for constructing realistic/representational collages? What should abstract art focus on? 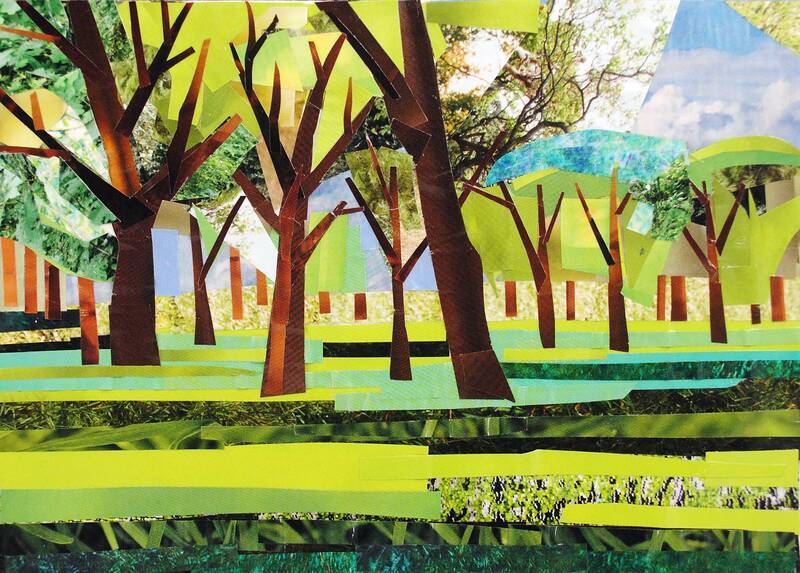 Distribute the collage-making materials and have students make a series of abstract/nonobjective collages. When the collages are complete, have students hand in their work. During class discussion, did students contribute to comparing and contrasting objective art to nonobjective art? Did the student complete a series of abstract collages using at least three of the techniques discussed in class? Did the student focus on color, texture, and different ways of manipulating the collage paper?